Israel bus stabbing: Several reported injured, suspect shot but alive. The bus where the stabbing attack began. 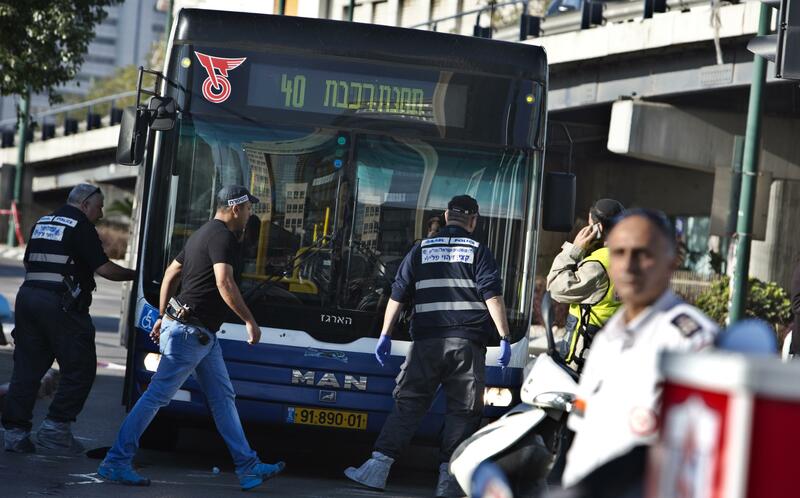 Original post, Jan. 21, 2:07 a.m.: As many as 16 Israelis have been injured, six seriously, after a man began stabbing passengers on a Tel Aviv bus in what’s presumed to be a terror attack. The attacker—who, per the Times of Israel, is 23 and from the West Bank—was reportedly caught and taken alive after correctional officers who happened to be at the scene shot him in the leg.